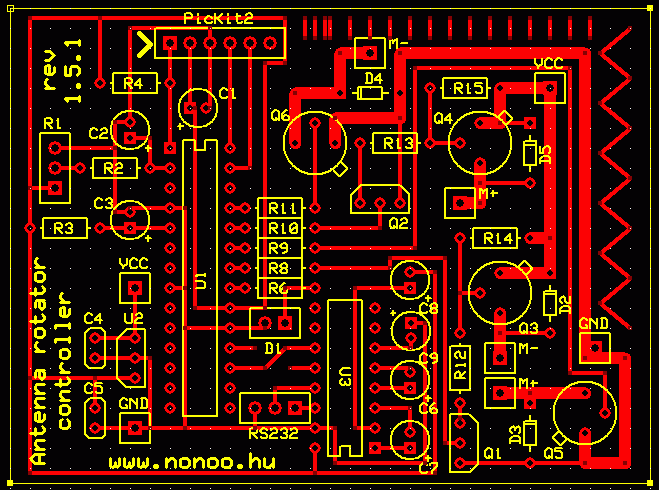 The circuit has been designed in PCBExpress, you can download the .sch and .pcb files here. 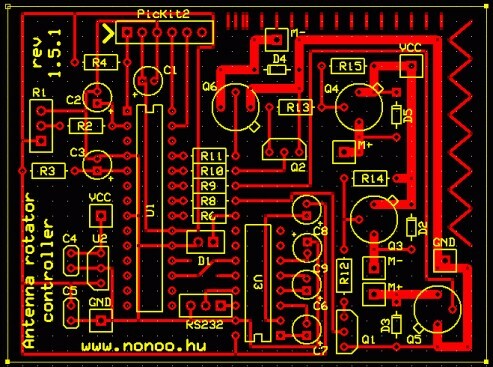 PDF version of the schematics is here. The controller is a PIC16F886. I used Hi-Tech C compiler for writing the program. It uses Timer1 for blinking the status LED and Timer2 for pot change protection (there is a pot in the rotator which turns when the rotator is rotating, and if the rotation is on but the pot doesn’t turn, it shuts everything down). Otherwise the code is (trying to be ;) really simple, so check it out. There are 4 medium-current transistors, they power the motor with the required voltage polarity. The serial line is handled via a MAX232 IC. I’ve added 2 buttons in my room near my little desk so I can rotate without using serial console. 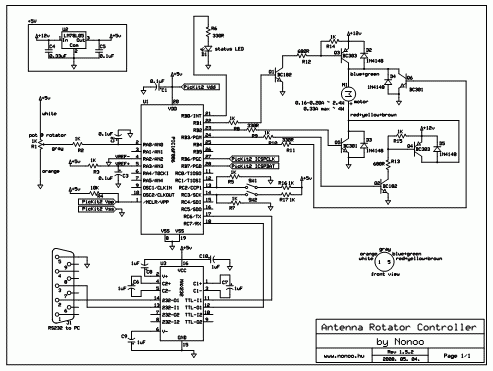 This is not reflected on the circuit drawing. I will definitely do it within the next few months, but i was wondering how much did the electronic equipment cost and how much does the motor itself cost? Huh I don’t remember, it was years ago. Building the circuit cost me around $20-$30 I think. I got the rotator for free from a friend of mine. Well thanks anyway man, I got all the info I needed. 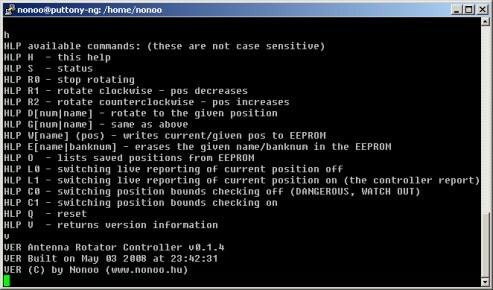 It is possible to add LCD display to work without PC? can you upload code for controller to use with LCD without using PC with manual CW CCW switch? Hi, my implementation doesn’t use an LCD so I don’t have code for that.